Congratulations to these lucky customers for winning our weekend getaway! Thanks to our Care Free Customer Referral and Rewards program, Susan and John of New Bedford, MA were randomly selected as the WINNERS of our 2nd annual White Mountain Weekend Getaway. They will enjoy a complimentary 2 night stay at the historic Cranmore Inn, a beautiful bed and breakfast located in the heart of North Conway Village in New Hampshire. Susan and John also received a gourmet Black Tie Cookie bouquet and a VISA gift card for travel and dinner expenses. 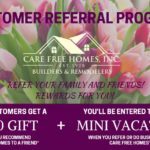 Each year, customers are eligible to be entered into the random drawing when they do business or recommend Care Free Homes, Inc. to their friends and family. 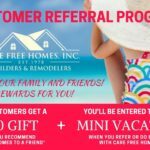 Customers receive an entry for every new, completed project and receive additional entries for every completed, contracted customer referral. 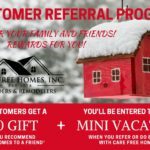 We started this fun giveaway to say “thank you” to our loyal customers for their unwavering support and continuous flow of referrals. One name is selected at the end of each year. 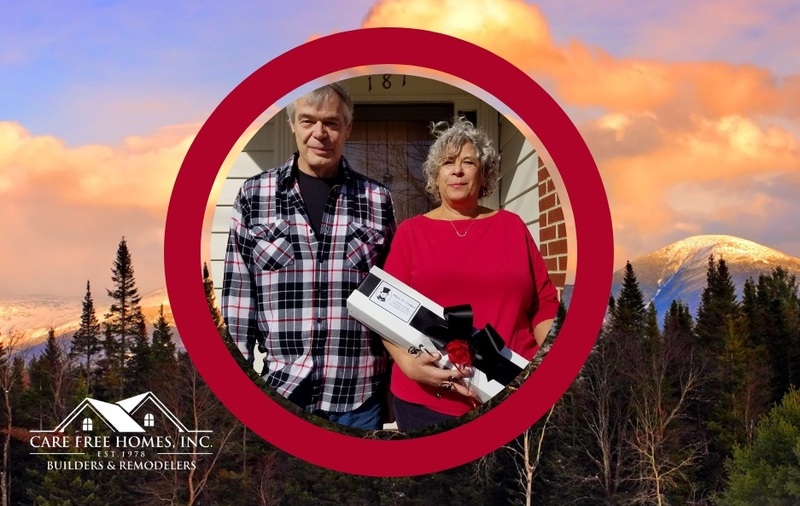 (You can meet last year’s winners here) Thank you to Susan, John, and the rest of our customers for choosing Care Free Homes – we are most grateful and honored to earn your business!